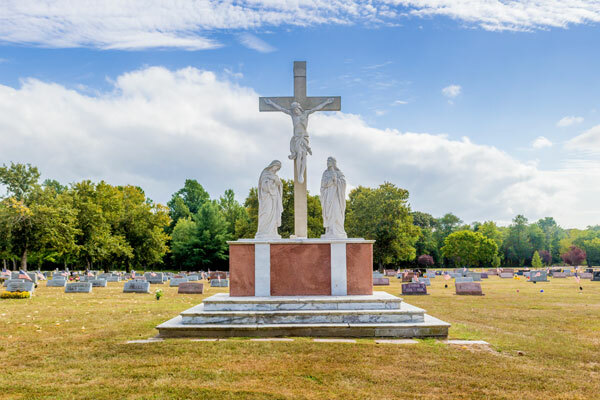 In keeping with the Catholic Church’s tradition of honoring All Souls during the month of November, Catholic Cemetery Sunday is November 4, 2018, the first Sunday in November. It is a day set aside to perform the Spiritual Work of Mercy of praying for the dead by visiting the graves of family and friends. We pray together with you that the Faithful Departed find eternal peace with God our Father. In recognition of Catholic Cemetery Sunday prayer cards have been printed with the Eternal Rest Prayer. Towards the end of October look for these Catholic Cemetery Sunday prayer cards in your parish’s gathering space, cemetery office, or chapel mausoleum. All are invited to participate in this day of faith, visitation, gratitude and prayer honoring your loved ones. Our cemetery locations will be open on Sunday, November 4, from dawn to dusk and our mausoleums will be open 9:00 AM to 3:30 PM. Please visit and pray for All Souls. 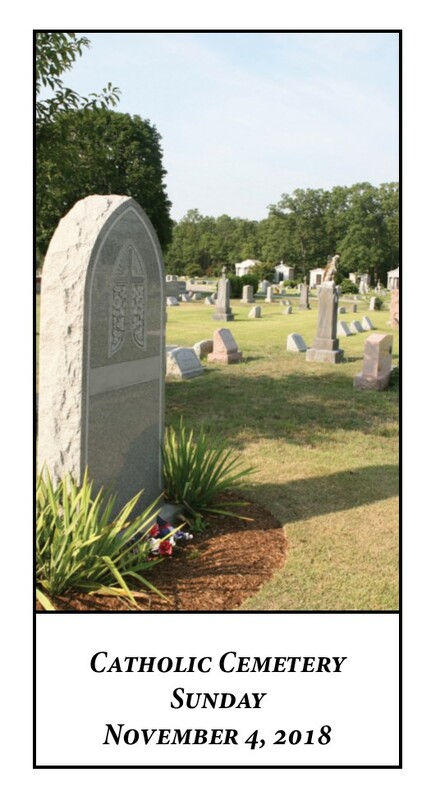 Click here for a listing of our cemeteries and directions. Above is a one of the prayer cards featuring Our Lady of Victories Cemetery in Landisville, NJ. Photographs of four other Diocesan run cemeteries also are featured on the prayer cards. We live in the hope and faith that those we love are safe and secure in the Lord, and that one day we will be united in Heaven with our Lord, Jesus Christ.